Sunday, September 30 from 12-3 at Celeste Jonas Home in Milltown, NJ. Hello, My name is Celeste Jonas and I am hoping to be able to make the Central Jersey FCC Chapter active again. 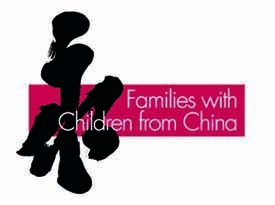 My husband and I have 2 children from China. They were adopted on the same day 2 years ago from the same S.W.I. They are both 11 years old. We have 1 boy and 1 girl. We are all very excited about some ideas that we have for future get togethers, however we can't do it alone so we are having a pot luck at our house to get anyone that is interested together to plan some events for our kids. I want to Thank Susan Matson for meeting with me and supporting the decision to revive the FCC Central NJ and for all of the wonderful advice. I am hosting a pot luck on Sunday, September 30 from 12-3 at our house in Milltown, NJ. All adults and children are invited. Email me at FCCCentralNJ@gmail.com to RSVP and exact address. We will be celebrating The Chinese Mid-Autumn Festival that day as well.